Self-reliant college goers, here are the highest paying part-time jobs for college students that you might consider taking up. If you’ve been sending out application these are the absolute musts you should try your hand at. College expenses can be sky high these days, and even with the tuition and room expenses being paid for by the parents, students find themselves in need of some hard cash to get by. Each frat party and Prom event can prove to be bank breaking. And even the best of them who try to refrain themselves from all the revelry and save up, even library expenses and gym contribution can add up to quite a fortune. So what’s the best solution around that? Of course, a part-time job that pays well and suits perfectly with your college schedule; and our list today, brings you just that! While if you still think that a part-time job might hamper your study time and clash with you class timings, you can consider checking out The 8 Best Summer Jobs for College Students. Summer break might just be the perfect time for you to earn your pocket money and save it for a rainy day during the school year! If you are looking for easy to read books about summer jobs you should definitely read Summer Jobs For Students (Job Search) (Volume 3) or College Students Do This! Get Hired! : From Freshman to Ph. D. The Secrets, Tips, Techniques and Tricks you need to get the Full Time Job, Co-op, or Summer Internship position you want . Most jobs that college students consider taking up would pay a $5- $10 per hour on an average. But, when you are looking at the highest paying part-time jobs for college students, they are generally on the higher end of that spectrum, but might even exceed that to an astonishing $20 in some cases. The trick is to find one that suits your abilities and schedule with a good pay package as well. And, a few extra options could be considered as a back-up when sending in the applications because of course when the pay is this good the competition is likely to be high too! So whether you are a freshman or a senior, the best job options for college goers are right here! 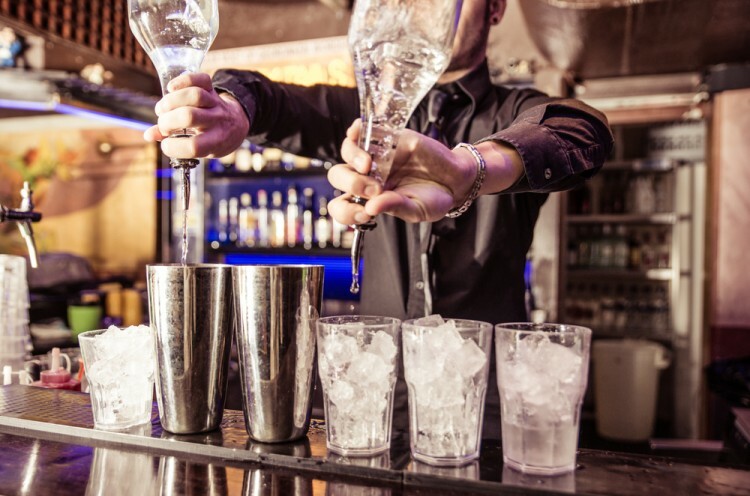 Bartending is one of the most lucrative jobs for college students. The working hours are generally in the evening which would have a little clash with college hours. The pay itself is decent enough, but sometimes the tips you make are quite attractive themselves.